This playground is free and open only to families with special needs children. 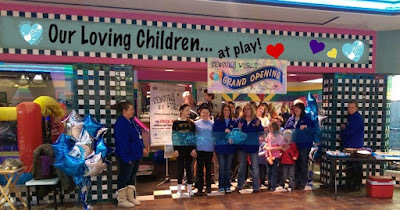 Watch a sneak peek into Our Loving Children...at play! Located at Southbridge Mall in Mason City, IA across from Subway! We will be closed on Sundays for the summer! children enter our schools, stores, restaurants, and eventually the work places. ~ Thank you for understanding!